Ultra-soft, flexible direct thermal synthetic wristband with adhesive closure offering excellent resistance to most hand sanitizers. Adult, pediatric and infant sizes available in white. Scannable up to 14 days. Latex-free. MR-Safe. 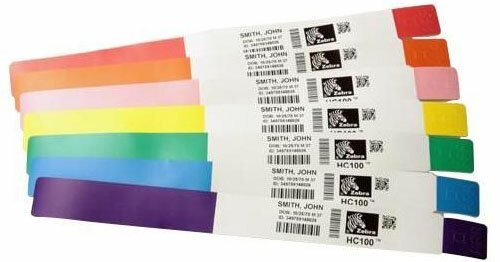 The Zebra 10015355-2K is also known as ZEB-100153552K-CASE	or 100153552K	.